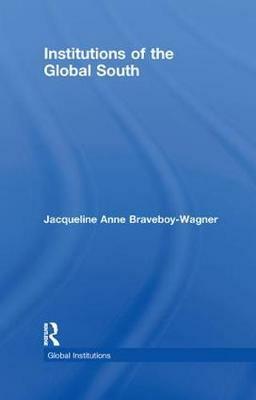 While clearly assessing the achievements, performance and responses of major global south institutions to global change, Jacqueline Anne Braveboy-Wagner shows how and why such arrangements are critical in the South's efforts to call the international community's attention to their concerns and to resolve their special problems. Focusing on a range of key areas to provide the reader with a well-rounded understanding of this important subject in international affairs, the book: * offers a rationale for the institutional development in the global South * elaborates on the scope of membership, structure, aims, and problems of such institutions * assesses the utility of tri-continental political and economic organizations * examines the history and activities of region-wide organizations * evaluates the potential of sub-regional integration arrangements * analyses the applicability of various theories, and makes suggestions with respect to the study of global South institutions. The lack of a comprehensive and accessible compilation of institutions of key importance to the global South in the post-war period, makes this book essential reading to students and scholars in the fields of in international organization, international politics, foreign policy, international development, and global south public policies. Buy Institutions of the Global South by Jacqueline Anne Braveboy-Wagner from Australia's Online Independent Bookstore, Boomerang Books.